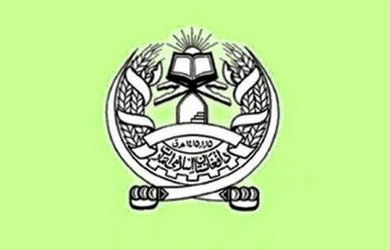 The Kabul Administration is facing severe anxiety in the face of initiatives by the Islamic Emirate of Afghanistan, curbing the (propaganda) material that they were using for their own objectives against the Islamic Emirate. Sometimes they said the Taliban do not allow construction of public benefit projects and destroy bridges. Sometimes they leveled allegations that the Taliban had burnt schools and that they were against development and education etc. In fact their motive was to bring under question the Jihadic efforts of the Islamic Emirate. However recently the statement of the Islamic Emirate in support of national projects has snatched away this defaming propaganda from their hands. They were flabbergasted and started objections to the move instead of being receptive, thus they showed their anti-national face to the nation and the world as a whole. On the battle ground, when Mujahideen seized strongholds of the Kabul Administration during the current year, the Kabul Administration turned to leveling allegations, claiming foreign trained fighters were engaged against them. But the Islamic Emirate announced that if such is the case, they should present even one foreign Mujahid either detained or martyred to media as evidence. The military battalion and other contingents are made up of the true sons of the nation and trained in the training centers of the Islamic Emirate. No foreign Mujahideen are present in the rank and files of the Islamic Emirate nor has permission been given to anyone to create a parallel set-up to that of the Islamic Emirate. On the political field, the Kabul Administration tried to level allegations against the Islamic Emirate that it has plans to carry out destructive activities in other countries but the Islamic Emirate clarified its stance to countries – through active diplomacy – that we seek to lead a peaceful life with neighboring countries and the international community. We are striving for an independent Afghanistan, being free of occupation where we would have a system based on our own beliefs. We do not want to interfere in the internal affairs of other countries nor will we allow anyone else to use our soil against others and neither will we accept interference by others in our affairs. The Kabul Administration has exhausted all other stratagems. Now they have hired tens of media outlets to propagate in their favor. They have created hundreds of fake facebook accounts to show that the nation is supporting and standing with them. In fact this is not the voice of the nation. Not only that, they are spending hundreds of thousands of dollars in lobbying to draw attention of American officials and of other invading counties. But in practice they have always held top position in bad governance internationally. According to a recent survey, three billion dollars equivalent to about 200 billion Afghanis is taken as bribe in offices of the Kabul Administration per annum. Corrupt officials take their empty wallets to the office in the morning and bring them full of money as they return home in the evening. Their survival is banked on prolongation of the war. The Islamic Emirate and the entire nation including the freedom-loving educated Afghan strata see their wellbeing in ending the occupation, having independence and a developed Afghanistan under the shadow of Islamic system whereas this Administration sees its survival in anarchy, occupation and prolongation of the war. The nation should know that their interests are in contradiction with those of the administration. The more the nation and the Islamic Emirate come together around shared goals, the more the anti-nation elements under whatever form will be marginalized. Forward to an Islamic, independent, prosperous and developed Afghanistan!